Now that the wedding is over and the new Manni is not so new any longer, two things occupy our minds. The latter is most fun. Everyone has an opinion and loves to make snide comments involving: body mass and the lack of hair. After a point, you can almost predict what the joke is going to be. Going through the albums, one notices that there are several bald men. For a long while I thought that only the men in my family had this, baldness quality. Everyone was bald or getting there. May be it was to do with the Bharadwaja lineage. Madras Thatha, Periappas, Chitappas, Chitappa Thathas -- every one of them bald. Even the young men of the family are mostly bald. When me and S met (more like, saw) any bald man, we wondered if he was related to us. As one goes through the wedding albums one realizes that most of the men in general are bald. Not just our side, but also the men from M Mani’s side seem to share this quality. Most photographs therefore, show a glinting bald head. Sometimes, when the orange light of the videographer focuses on bald patch, one can see a halo. The baldness aside, the wedding was as chaotic as one can imagine it to be. Inspite of being from the payyan veetu, we had our own share of drama. Sulking relatives, some chaos, lost keys, upset (allegedly) older unmarried cousins, nosey old maamis, only one ac room for the boys side, the works. Thankfully for us, the wedding happened at one of the T Nagar mandapams. This was useful as we could run across to the house each time we needed something or just wanted to get away. It also proved useful for the guests who were aged over seventy (who formed a significant proportion of our guest list one noted). This helped as they were brought in to pelt flowers and blessings and sent back after a cup of paayasam. Inspite of this proximity, four cars were needed – three of which were arranged for by the ponnu side. However, four ambassadors proved to be insufficient to carry the load of the extended family and their often frail egos. The key consideration was to ensure that balance was maintained and feathers remain unruffled. I realised that - amma is actually a goddess. The detailed itinerary that she planned, the complex road map that she drew and the permutations that she worked out made me think that, she and not S should take a shot at the JEE exam. For example, let’s take thatha’s elder brother – Kitchu Periappa Thatha who stays in Tiruvanmiyur and thatha’s younger brother – Vichu Chitappa Thatha who stay in Mylapore. Given that these were thatha’s brothers, their presence for this Gothram migration was important. Since both of them, had their own minor clan who needed to come for the wedding, each needed one ambassador car to be sent to them. One then needed to factor in that Tiruvamiyur was further away from Myalpore. 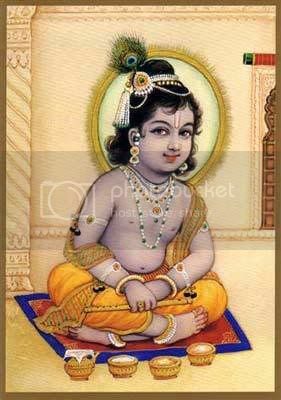 However, given that the periappa thatha was the oldest member of the clan he needed to reach before anybody else did. And therefore, the cars needed to be managed and sent out at the right times. So, amma and T Anna worked out a complex algorithm and shared the same with S. Inspite of S’s brilliant execution, at least three people were offended, of which only one of them expressed their crib directly to us. Amma and Appa profusely apologized and made sure that T Anna and M Mani did one special round of namaskaram for all these offended relatives. Though, it is somewhat ironical that one must seek blessings of someone who is unhappy with you. It really doesn’t bode too well for T Anna and M Mani. Next was the distribution of bakshanam and dividing the paruppu thengai. It seemed that M Mani’s family had cheated us by not giving us the number of murukkus, ladoo and mysore paaku that we had asked for. So me and Dubai Atthai who were in charge of the distribution, did some cheating of our own and gave some of the people only ladoo and deliberately didn’t give anything to some people. However Gomathi Periamma who takes a special dislike for Dubai Atthai yelled at her and took over. What had happened earlier was, since Dubai Atthai needed air-conditioning (given that is what she was used to) she was specifically given this soft task. However, as far as Gomathi Periamma was concerned, Dubai Atthai had failed. To add insult to injury, she took one look around the room and triumphantly pulled out one more cardboard carton of bakshanam that mine and Atthai’s partial blindness had missed. After which D Atthai sat in the corner of the room and wept. She refused to leave the room till the wedding got over. In a bid to cover up we started giving bakshanam to people who were not part of the original list. This, as the ones who had to be given the same, had left by then. Amma will never be able to live this down. However, everyone knows that the happiness of a marriage is ensured only if there is at least one unpleasant moment at the wedding. I saw the wedding only in small doses. T Anna made for an enthusiastic and charming groom. He remembered inane details of random relatives and made polite conversation with several people. However, during the Kasi Yatrai he almost disappeared with the umbrella as he very briskly and purposefully walked towards the nearby Kasi Arcade. M Mani’s appa must have had an anxious moment for a brief period. I also realise that my extended family has very limited faith in my ability to tie a knot. The number of people who asked me if I was ready to solemnize the wedding actually began to make me anxious. The pin-thali photograph has my face focused with utmost concentration and all the chittis, periammas, atthais, other women I don’t recognize watching closely and looking impatient. After getting my sari for having done the deed, I managed to escape. Of course how can a wedding really be complete without some other-gothram-people-spotting. Amma had planted her reliable (!) sources – Indira Maami (neighbour and soul sister) and Alamelu Periamma (the real sister) to do the job for her. When the elder sibling gets married, the younger unmarried siblings are potentially at risk. It didn’t help very much that I was going to turn twenty-four soon. 2. Nagam Akka, the neighbourhood busybody often spouts this piece of wisdom – the problem with bald men is that they always look the same. One can never make out what their true age is. We like to age gracefully and well, so we shall look for boy with hair now, so that he can go bald later. I am feeling somewhat wistful now when I look at T Anna’s wedding pictures. There is this particularly brilliant photograph which has – Appa, T Anna, Periappa, Chitappa 1, Chitappa 2, Chitappa 3, Madras Thatha, Periappa Thatha, Chitappa Thatha and Shastrigal. It captures an intense moment, with all of them staring intently at the homam. Their brown and shiny heads gleam like some rare gems. Such beauty and symmetry is to be found only in rare architecture. Pity then that - my kalyanam shall not have such photographs. The things that people miss? I suppose, unevolved races have such problems. It captures an intense moment with all of them staring intently at the homam. Their brown and shiny heads gleam like some rare gems. Such beauty and symmetry is to be found only in rare architecture. altimate scenes from a wedding. kalyaana post ithuvarai padicchadhu illai. This needs to be said - you are a phenomenal writer. If you ever write a book, sign me up for it. I will buy the first one. I hope that there will be more such episodes on the wedding of T.Anna and M.Anni. Hilarious. fantastic. fantastic. yen kaila oru ponlmaalai iruntha i would have gifted. such brilliance. orey proudness that you are tamil. best blog post ever. You HAVE to write a book - just a compilation of articles like this. It will be a timeless showcase into the wonderful(?) world of tambram families. You will be the Meenakshi ammaal of our times! Your only hope is a North Indian boy. Brought back a million beautiful memories... Thanks! reproducing this comment to KA's post. Did such a 'shandai' occur? ps: Just realised I need to explicitly mention that the person in question is MY WIFE's cousin coz my better half also reads this blog... Keep penning ATF !! Hi ATP, first time on your blog and devoured all your posts at once because I could not stop. Anyway, I am also Tamizh and Penn but not Asal as am from Bombay (I see from your blog that you thankfully hate Delhi but have only indifference for Bbay), now in Yoo Yess. On a serious note, I love the Hindu. Call me old-fashioned but I like news, analysis and plain English and not Hinglish. Hindu is lovely and I'dl ike to see your byline....guessing it won't be ATP! I demand that I be allowed to contribute to this Blog. Ended up reading most of the posts. Now, how did I end up at your blog? Ah yes, from Krish Ashok's blog. Hi MS. Hows it going? The Karthi interview was superb! Well done. No Nilu type fellow for ATP then. Good. "However, everyone knows that the happiness of a marriage is ensured only if there is at least one unpleasant moment at the wedding." It is to do with ulundu appalams. Eat one everyday and watch the vazhukai progress.